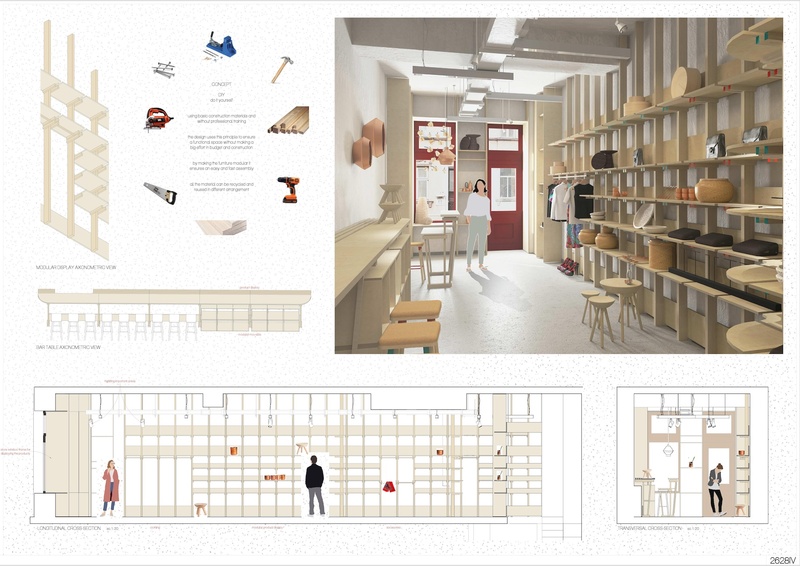 The concept of the project was to “manufacture” a modular furniture for both retail display and for a space that gathers people. Using basic construction materials, the space can be easily implemented and changed in time. You can move around pieces to create new display areas, or make room for events. From outside the space raises interest with the popping display in the window that is a generous interior wood frame. Once you enter you feel like home, you can storage you jacket and umbrella in the closet. On one side of the space there is the main display area for clothes accessories and decorations. Every piece fits in their place according to the type of shelving arrangement. In the back you can buy a cup of hot coffee and chat with your friend and host, while sitting at the generous table. You can organize meetings and have projections on the bare wall along the bar table, about designers and artisans. This will also help “bridge” the gap between artisans and the market. 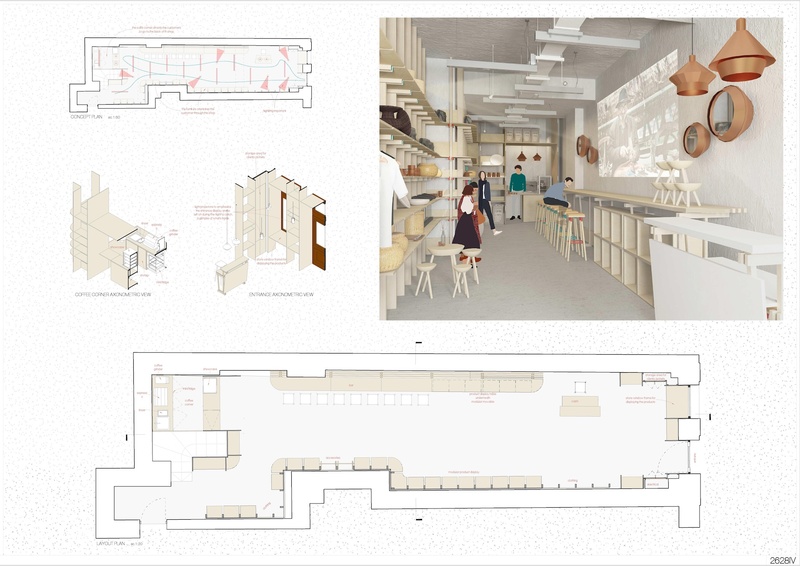 By placing the coffee corner at the back of the space the design invites the customer to use the entire space.